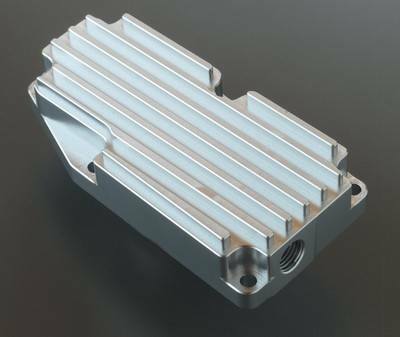 Billet CNC machined 5083 alloy finned oil sump cover Yamaha SR500, XT500, & TT500. 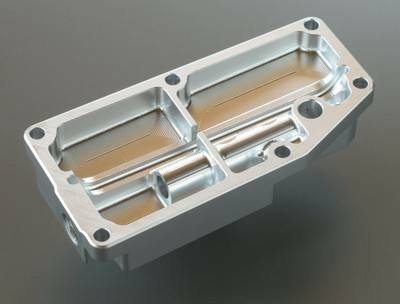 Intricately machined from a solid piece of 5083 billet aluminum alloy. 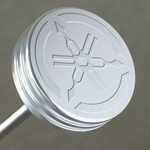 This deeply finned oil sump cover will aid in engine oil heat dissipation. Suitable for the Yamaha SR500, SR400, XT500, & TT500. 5083 alloy is an aluminum alloy with magnesium and traces of manganese and chromium. It is highly resistant to attack by saltwater and industrial chemicals. 5083 alloy has the highest strength of the non-heat treatable alloys.